I was very impressed with Arbor Oaks at Greenacres. They were not as nice as others but seemed to be a very caring community and I liked it. They go on trips and seem to have a lot of activities during the day. The place looked a little bit bigger than other places and probably had more people there. I did not like Arbor Oaks at Greenacres at all. I felt the rooms and apartments were more like a prison. They were so small, and it was not a comfortable place to be in. When you walk in, they put on a performance. The staff seemed pleasant. The place fell short on a lot of extra things. It may be a matter of taste, but I did not find it warm nor like a home. Arbor Oaks was our first choice. It was in a smaller location with more attention to the residents. They had a better accounting of the residents’ types of food and beverage intake, so that they know their hydration. 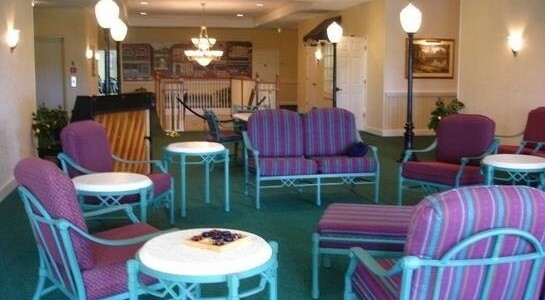 The rooms are smaller, and they encourage all the residents to participate in all activities, including road trips and any type of activity outside the facility. Also, they continually change their seating in the restaurant area so they’re continually meeting new people. The best way to get to know a community is by scheduling a tour. See the facilities, meet the staff and residents, and get a feel first hand what it's like to live at Arbor Oaks at Greenacres Assisted Living. Welcome to Arbor Oaks at Greenacres. Our inviting senior living community offers residents the comfort and convenience of a hassle-free lifestyle free from the burdens of home ownership. Located in the city of Greenacres, we provide a variety of on-site services to help our residents enjoy their stay to the fullest. In addition, we provide a choice amount of amenities to promote a relaxing experience for individuals residing at our community. Accommodations come in a selection of options. Depending on the individual, Arbor Oaks at Greenacres could be the perfect fit for seniors seeking senior living options in or around Greenacres, FL.